An unverified claim on paper that each household that appears on a 2012 list, which may or may not include all households in the village, has a toilet built for use, is enough to declare the particular village ODF. Under construction toilets in Bibipur, Lucknow. These are not the kind of toilets prescribed for rural India under the SBM. This is part of a series of reported stories on open defecation in Uttar Pradesh. You can read the introductory article here. Lucknow/Barabanki: In late September, the second floor of Vikas Bhawan in Lucknow is buzzing with activity and smelling foul. The activity is centred around achieving cleaner sanitary facilities for the district, and the smell emanates from a toilet which has not been cleaned, probably for days. In one corner is a room, decorated like a typical government office with yellow paint, rickety chairs, disfigured wooden tables, flickering tube lights. The room distinguishes itself from the others via a prominent poster that reads, in all capitals, ‘ODF WAR ROOM’, in front of a smiling image of Mahatma Gandhi. 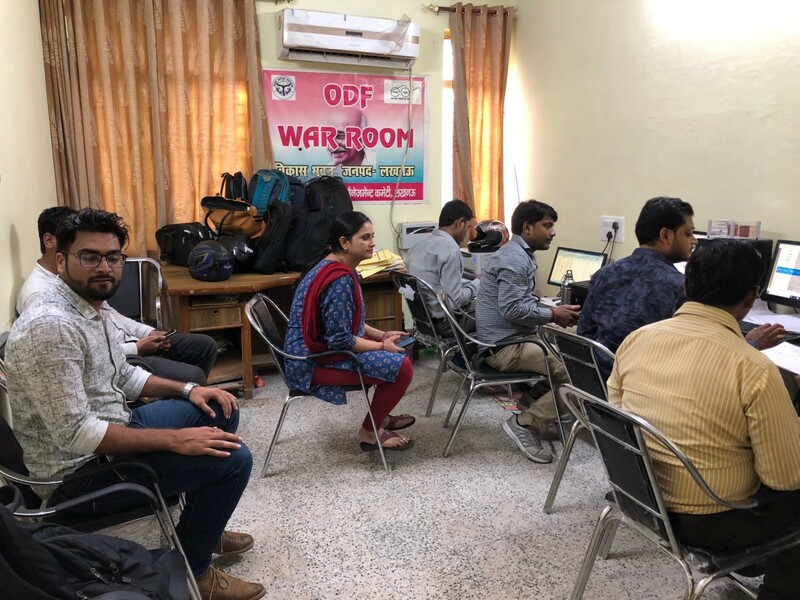 Similar ‘ODF war rooms’ have been set up across districts in the state. A team of five people is at work from 10 am to 10 pm to ensure that Lucknow can be declared open defecation free (ODF) by October 2. Under Narendra Modi’s pet Swachh Bharat Mission (SBM), the UP government has set itself a deadline of October 2 to declare the state ODF. 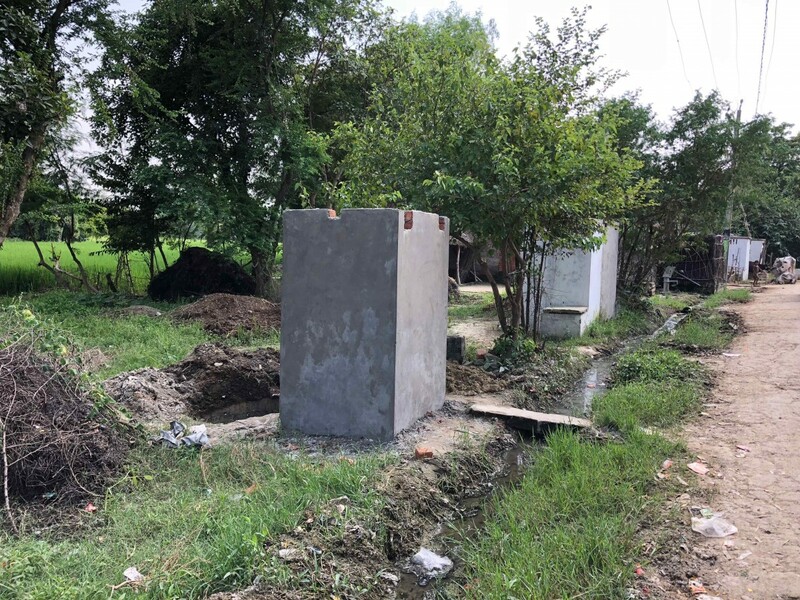 The job of the personnel deployed in the ‘ODF war room’ is to coordinate with block development officers, village development officers and pradhans (village heads) to monitor the progress of toilet construction in each block and each village. “We have to ensure that by October 2 each village in Lucknow has the number of toilets that have been allocated to it. So that Lucknow district can be declared ODF,” Abhinav Trivedi, a district consultant in-charge of the ‘war room’ told me. In 2012, a country-wide survey called the baseline survey was undertaken to identify the number of households in rural India that did not have access to toilets. Each gram panchayat reported the number of such households in their jurisdiction and these figures form the basis of the SBM (Gramin)’s targets. A village is declared ODF when it has built the number of toilets required as per the baseline survey of 2012. Also read: How Is Modi’s Swachh Bharat Dealing With the Public Health Crisis of Open Defecation? In practice, though, in the ODF war room in Lucknow, and across all districts of UP under severe stress to declare themselves ODF before October 2, the guidelines are not being followed. For a village, the village pradhan in coordination with the gram panchayat secretary self-declare that each household that lacked access to a toilet according to the 2012 baseline survey has been allocated a built toilet. That claim is forwarded either by the pradhan and secretary themselves or by the block development officer, in-charge of the block in which the village is located, to the district office, where the SBM toilet database is updated to reflect that the village has built the toilets that it needed to, and hence achieved ODF status. Thus, an unverified claim on paper that each household that appears on a list, which may or may not include all households in the village, has a toilet built for use, is enough to declare the particular village ODF. “October 2 is right here and the numbers have to be achieved,” said Trivedi in the Lucknow ‘ODF war room’. A senior official involved with Swachh Bharat operations in a district in central UP said that the ODF declaration process has been turned on its head in a rush to achieve the numbers. He pointed out that according to the laid down procedure the village pradhan is first supposed to identify the beneficiaries in his/her village, then report the number of beneficiaries to the district office, which then sanctions the number of toilets to be built. Once the toilets are built and physically verified, the district office releases Rs 12,000 for each household as a reward for having built the toilets. Only then is the SBM database supposed to be updated to reflect that the toilet has actually been built. “But now, as soon as the pradhan sends the list of beneficiaries – which also is not verified – the database is updated to reflect that the required number of toilets have been built in the village and it is declared ODF. There is no physical verification whatsoever,” the official said. By September 18, when The Wire visited the Lucknow ‘ODF war room’, of the 805 villages in the district, 410 had been declared ODF. Another 395 would have to be declared ODF in 13 days, at a rate of more than 30 villages per day. “Things have to happen on a war footing now literally to achieve 100% ODF by October 2,” Trivedi commented. The SBM guidelines also require that states carry out ODF verification for the villages that have declared themselves ODF. They mention that ‘ODF is not a one-time process’ and ‘at least two verifications may be carried out’. The guidelines suggest that states carry out independent verifications – preferably third-party verifications or cross verification among districts – to verify ODF status on parameters such as access to toilet facility, 100% usage, safe septage disposal and no visible faeces in the village. In Lucknow, by September 18, of the 410 villages that had declared themselves ODF, only 280 had been verified. The verifications had been done by teams sent by the Lucknow district administration and were not independent verifications as had been suggested by the SBM guidelines. Occasionally, the Quality Council of India (QCI) – an autonomous body set up by the government with a chairperson nominated by the prime minister – conducts random surveys in villages that have been declared ODF. Recently, when a QCI team surveyed 12 villages that had been declared and verified ODF in Lucknow district, it found that the claims for all villages were greatly exaggerated. A senior official in Lucknow told me that of the 12 villages, six had over-reported the number of toilets built by over 50% – so if a village had 500 households as per the 2012 baseline survey, only 250 toilets, at the most, had been built, yet the village was declared and verified ODF. Another official told me that the QCI report found gross over-reporting in Barabanki and Sultanpur. “In Sultanpur, for instance, in the seven villages that the QCI team visited, not a single toilet was found to be complete. 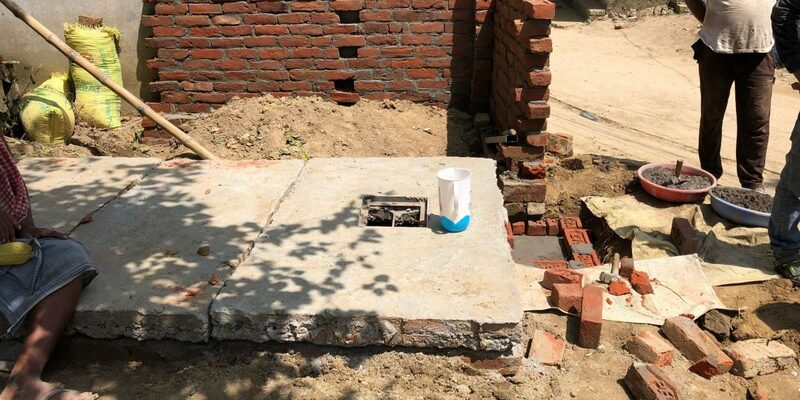 In fact, in the villages the team visited in Barabanki and Sultanpur, they found that construction had not even begun on most of the toilets that existed as per the SBM database,” the official said. The ‘pressure’ that the district official spoke about comes from Prime Minister Narendra Modi himself, who has, from time to time, held joint video conferences with district magistrates (DM) and reprimanded those DMs whose districts have performed poorly in achieving the numbers. “Obviously, no DM would want to be reprimanded by the prime minister. So they in turn put pressure on the officers below them who then turn the screws on officials at the village level. So there is intense pressure at every level in the administration,” the official quoted above said. The pressure on a village pradhan, who is the main mover and shaker at the lowest level, too is intense. “I receive calls from the district office several times each day to check for updates. Some of them are threatening calls. They don’t seem to understand that toilets cannot be built in hours,” said the pradhan of a village in Barabanki, preferring to remain anonymous. “Today, they told me that I need to build the remaining toilets (280) by tomorrow. You know that is not possible,” the pradhan said. Many pradhans who I spoke to over the course of my reporting told me that they had over-reported the number of toilets that had been built under fear. “If I tell them that my village has not built the toilets that it needed to, I will be rebuked and they can take action against me. If I tell them that I have achieved the numbers, at least I will get them off my back,” a pradhan from a village in Barabanki district said. Avani Kapur, a fellow at the Delhi-based Centre for Policy Research (CPR) and director at the Accountability Initiative, has researched extensively on the status of open defecation in rural India. She reminds us that achieving ODF status is not just about each household having a toilet. Kapur was recently part of a team that studied the sanitation status in gram panchayats (GPs) that had been declared ODF in Udaipur. The survey conducted detailed interviews with 505 households in 19 villages of Udaipur. Of the sample, 171 households were in GPs that had been declared and verified ODF and 334 in those that had been declared ODF. Eighteen percent of surveyed households lacked access to a toilet and usable toilets were missing in a number of public places. One-third of toilet owners reported defecating in the open on the day they were asked. Only 49% of all members of the households reported using the toilet regularly across all seasons. One of the district officials quoted earlier in the piece also lamented the obsession with toilet building under the Swachh Bharat Mission. “Unfortunately, it has become a toilet-building exercise. It should be about behaviour change which is the key factor,” he said and explained that officials prefer the tangibility of outcomes that building toilets offers as against intangible outcomes when it comes to behaviour change. The SBM (Gramin) guidelines suggest that 8% of the total allocation under SBM is to be used for information, education and communication activities to push for behavioural change. An analysis of budget spending by Accountability Initiative and the Centre for Policy Research found that at the India level, the benchmark has not been met in any year that the SBM has been in operation. UP completed only 1% of its target in 2016-17 and only 4% in 2017-18 till January 15, 2018. Investigative reporting has never been so important. Just Rs 7 per day from readers like you will keep The Wire going. Click here for more details.